Philanthropy and Scholarships — Merchandising Inc.
Every fall and spring semester Merchandising Inc. partners with Texas Motor Speedway to raise funds for member scholarships. These scholarships enable our members to further their education and experience by financially supporting study tours and their education. Four Merchandising Inc. Study Tour Awards are given out for the New York, Hong Kong, Europe, and, most recently, Dallas (for each semester) study tours. Both international and New York study tours are award $1,000 per tour and Dallas awards are approximately $200 each semester. In fall of 2015, Merchandising Inc. proudly awarded the first Julio Santos III Dallas Study Tour Award, a scholarship in honor of past member and officer, Julio Santos III. Julio participated in the Dallas Study tour while pursuing his degree at UNT and is missed dearly by both faculty and peers. Today, we remember Julio as the dedicated, confident, and vibrant soul he was. This award is a symbol of Merchandising Inc.’s gratitude to Julio for everything that he taught us during his time in the CMHT program. The Jaime Regen Endowed Scholarship is given out on behalf of Merchandising Inc. through the College of Merchandising, Hospitality, and Tourism. 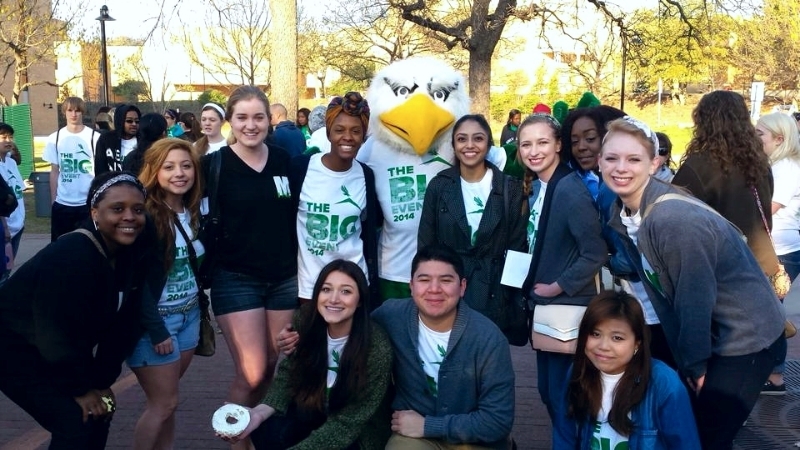 Merchandising Inc. is the first student organization at UNT to endow a scholarship. Over the course of seven years, members have worked to raise over $25,000 to endow the scholarship. Please watch the video below to learn more about Jamie Regen's story and how she impacted our university and Merchandising Inc. 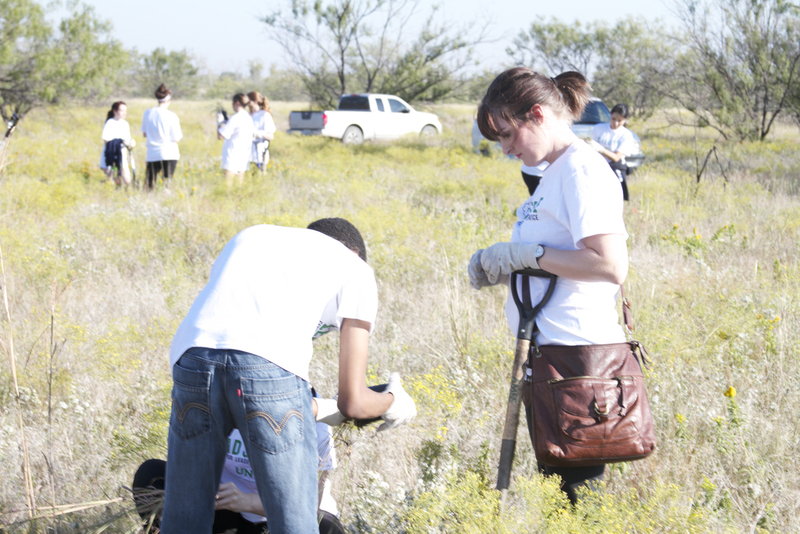 Merchandising Inc. believes it's important that our members give back to the community. We volunteer for a multitude of other organizations and businesses in ordered to help our members become well rounded individuals who not only seek reward personally, but find the gift in helping others. 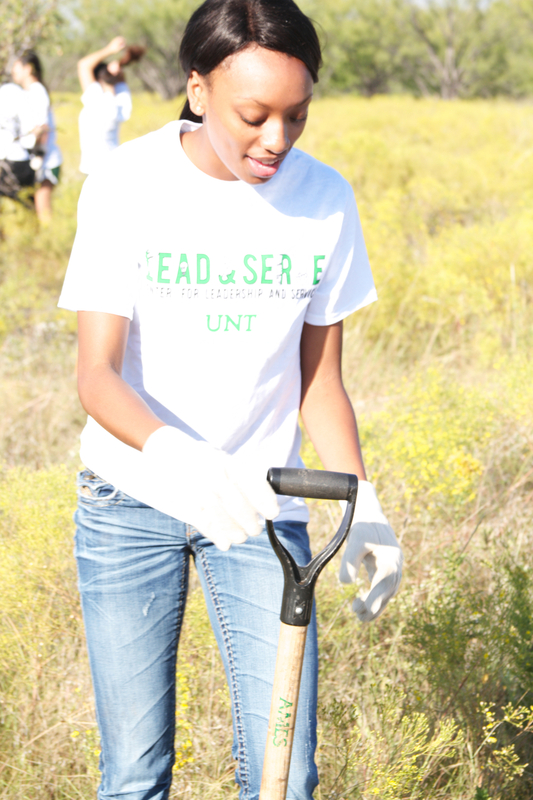 For example, members stay involved by working with UNT's Center for Leadership and Service in annual events such as Make A Difference Day and The Big Event. There are also fun philanthropy activities incorporated into meetings to insure our members are always giving back. This provides our members with countless opportunities to make a positive difference in the community, stay involved, and make new friends.